Don't let winter get in the way of your trail-running routine. Designed for speed and traction on hardpack, Louis Garneau Course Boa(R) 721 snowshoes help you hit the trails at your usual pace. Snow finally dumped on the same trail you run on throughout the year, but that's not a problem for you because you have the Louis Garneau Course Running Snowshoes. Aircraft grade aluminum makes up the Momentum frame to keep you light on your feet, and the frame improves your stride efficiency with its narrow width and optimized surface area. Louis Garneau added a touch of Teflon to the frame in order to reduce drag so you can slide across the snow easier. And the Reflex Pro pivot provides great shock absorption and good foot rotation that offers an efficient, natural stride. 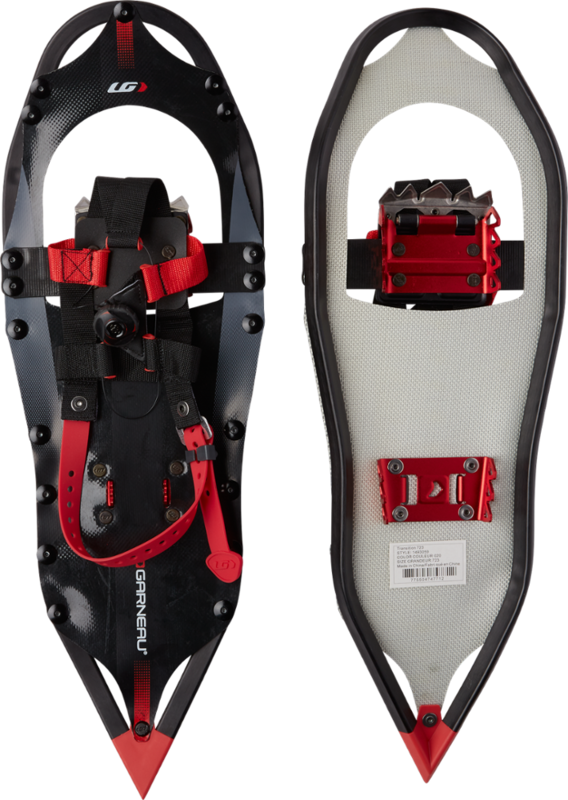 Made from the same aluminum as its frame, the Attack crampons keep the snowshoes lightweight while they aggressively dig into snow in order to give you good control while you run. The Contact Lite harness includes two Boa dials that secure your forefoot and toes in place for a stable yet comfortable closure. Louis Garneau made the Course's deck out of a woven ripstop that's both lightweight and durable to withstand some of the greatest abrasions you come across, and its Snowfree Surface sheds fluffy powder off the deck to give you an excellent, long-lasting performance. Designed to boost your speed and give you a competitive edge, the Louis Garneau Course Snowshoes are featherlight, ergonomic, and perfect for winter runners looking to push their limits. The Louis Garneau Course is not available from the stores we monitor. It was last seen April 12, 2019	at REI.